I've been promising my kids some summer fun "once the basement gets done," so today we are headed to the pool! It's supposed to be over 100*. Gag! But before I leave I thought I'd show you a hastily snapped phone pic of the new carpet, in case anyone besides my mom wants to see it. In my eyes it turned out SO beautiful! Yesterday after the carpet guys left, ALL the kids (meaning: my kids + 3 sets of neighbor kids and a couple nieces!) spent the evening playing in the empty rooms downstairs where it was nice and cool. It was fun to hear their (loud) squeals of laughter! 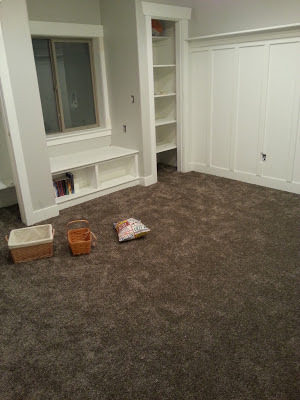 ...I'm looking forward to many years of basement fun! 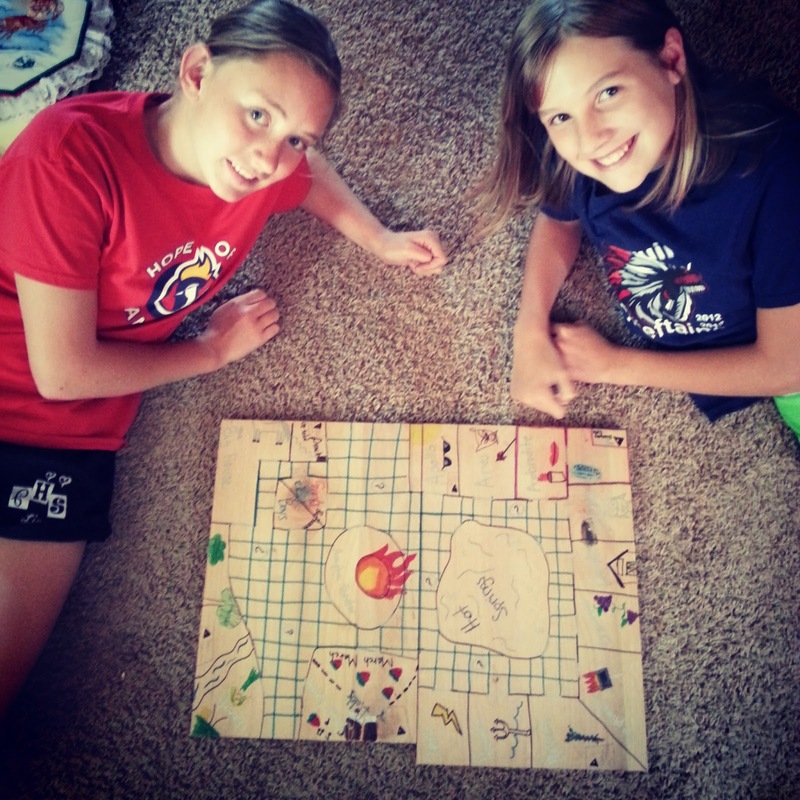 In other news, my daughter and her friend spent 3+ hours yesterday designing, creating, and building their own board game. Electronics free day + no whining = Awesome! um, yeah! home improvement is so exciting! love the new carpet.